It’s not called the Melbourne Cup of dog racing for nothing! It’s grown (the numbers of dogs racing, not the actual dogs) to 100 speedy canines madly dashing, leaping or sniffing about to the finish line. Cheer along as the scurrying sausage dogs, most with more heart than sense of direction, and their equally enthusiastic owners, battle it out for the title of top dog. Video: The famous Port Fairy Winter Weekends Dachshund Dash has reached new heights with this theme song and music video, which was launched to rapturous crowds at this year’s internationally renowned Port Fairy Folk Festival. Race categories include Under 2 years, Over 2 years and Veterans. Novelty events include best dressed and an all-breeds race. Fantastic atmosphere that attracts a crowd of 3,000+ with BBQ, coffee cart, expert race-calling and more! A winter Sunday morning like you’ve never known it! To get you in the mood for the 2019 race, we have commissioned a special song and video about our iconic race. Watch it now, it’s catchy! - All dogs and owners are welcome for BBQ breakfast and doggy games. - Racers take the annual group competitor photo. - Everyone checks out the competition and soaks up the pre-race atmosphere. - Then join the people and paws in the parade from Fiddler’s Green to the cricket oval for the start of the Dash. Dachshund Dash - The main event! - 100 dogs race in heats, then finals. - Followed by novelty races. - We also have an accessibility area for great viewing for people in wheelchairs or mobility scooters. Registrations strictly close at 4pm, Sunday 2nd June 2019. Registration is $15 per dog. Please fill in the online form below and pay fee after clicking the SUBMIT button. Your registration will be confirmed once payment is received in the online payment portal. Owners must submit one form per dog, but you can process one payment for multiple dogs. We are no longer able to accept registrations on race day. This allows administrators to organise and run a smooth event. Thank you for your understanding. We may need to contact you on race day. Thank you for being part of the Dachshund Dash! Your registration is complete when we receive your payment. Once paid, we will send a confirmation email with all the information for race day. 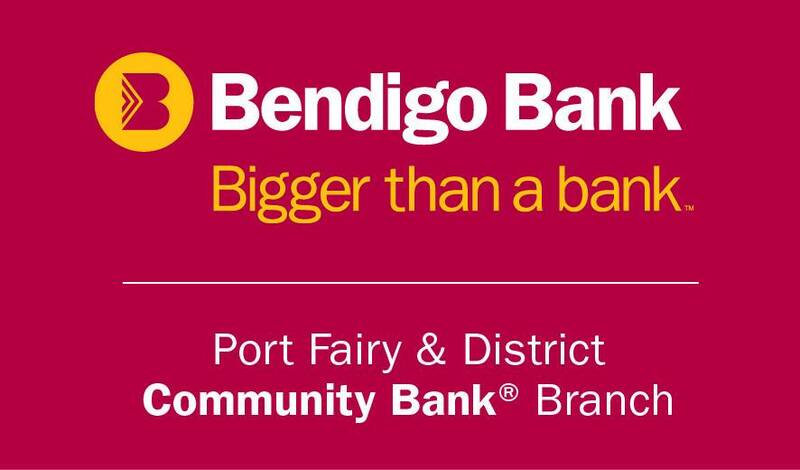 The Port Fairy Dachshund Dash is proudly supported by Port Fairy and District Community Bank.